The Academy Set is a fantastic artists set ideal for students and beginners. The product is made of good quality synthetic hair and has a vibrant red handle. 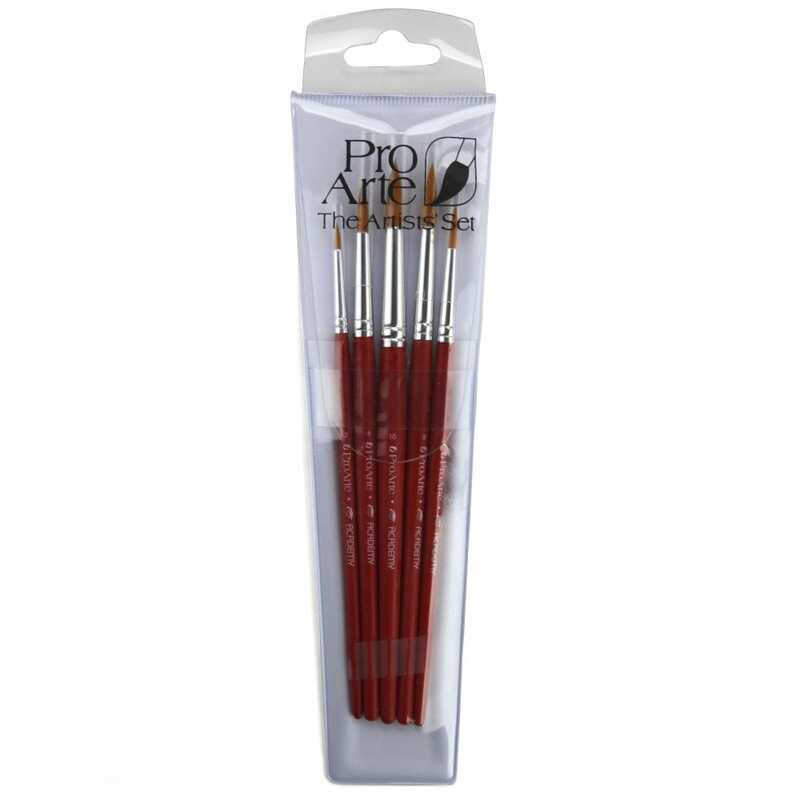 The brushes are supplied in a hard back plastic case to preserve the quality of the brushes.